The issue of inferior products masquerading as the real McCoy is well-known in the consumer market. However, on the basis of recent evidence, it is now also becoming a problem in the air conditioning sector. For Toshiba the issue first came to light around three years ago when we began getting distress service calls from end user's whose equipment had failed, or which was not performing to specification. We were receiving perhaps two or three such calls a week. Last summer, this had escalated to the point where we were receiving more calls each day about non-Toshiba equipment than our own. On one particularly infamous day, we received over 70 such calls. Just managing this volume of traffic, and logging and identifying whether calls are valid or not, becomes a resource issue for the manufacturer. In addition, of course, there is the serious risk of reputational damage, after years of investment building the brand in the marketplace. For the contractor and end user, there is the frustration, cost and lost time in dealing with equipment failure, and trying to find the appropriate company with whom to discuss it. In the consumer market, the problem tends to be fairly black and white. Inferior copies of premium goods are simply miss-labelled with the all-important logo and sold in volume at bargain prices. 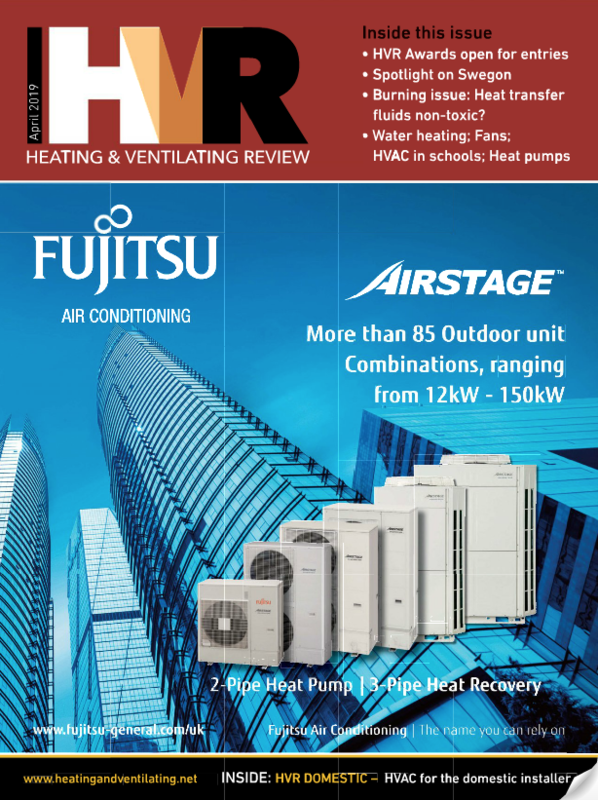 In the air conditioning sector, the situation can be more complex. For example, a unit may contain a legitimate component and on the strength of it have a large logo emblazoned on the front of the equipment - suggesting that the whole unit was manufactured by a reputable manufacturer (albeit there may be a tiny logo belonging to the actual manufacturer placed unobtrusively somewhere else on the kit). While this may stop short of gross misrepresentation, it is hard not to conclude that the effect on an unwary buyer is to give the impression that the unit has been manufactured by a reputable manufacturer, with all the warranty, reliability and quality assurance support that comes with it. We have identified a handful of manufacturers who have used this kind of practice. However, there are more than 20 suppliers and internet-based companies selling such air conditioning products into the UK market. This is a significant supply channel and would account for the substantial volume of calls Toshiba have received, indicating a sizeable installed base in the market. The route to market is often not through the legitimate trade, for obvious reasons. Installers and contractors familiar with genuine equipment would quickly spot the labelling rouse. Instead, it is often advertised on the internet, through ebay, and also in some electrical suppliers' literature. From our follow-ups of distress calls, the main cause of equipment breakdown is electronics failure, followed by inadequate cooling or heating, most likely due to loss of gas charge. We are continuing to raise awareness of the problem, and have issued bulletins to customers, advising them to look out for units masquerading as Toshiba. We are also assisting both Environmental Health and Trading Standards officers in their ongoing investigations. We will continue to raise awareness and press for increased clarity on the part of suppliers in their advertising and promotional materials. For the avoidance of doubt, Toshiba air conditioning equipment in the UK is only supplied by Toshiba Carrier UK Limited or our authorised distributors / wholesalers as identified on our website. Whatever it says on the outside, it is only made by Toshiba - and supported by us - if sourced through this channel! We to get customers saying they have bought a Toshiba air con system much cheaper than our quote, and won't believe us when we say that the label says "Toshiba compressor" its a Chinese system using a Tosh compressor. Toshiba should perhaps speak to Midea and others but perhaps they don't want to lose 1000's of compressor sales! !